Why Automation Workshop is free? 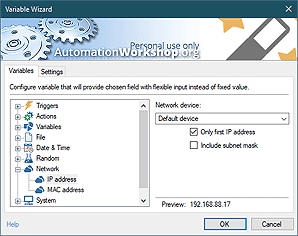 At Febooti Software we are proud to present the Free Edition of our flagship automation solution — Automation Workshop. It is completely free in the range of non-profit contexts. We use a lot of free software ourselves and strongly believe in it. That is why we would like to offer our contribution to this paradigm. Free software empowers people who can not afford commercial products. From a college student to non-profit NGOs in less rich parts of the world, free software helps getting the job done without burdensome costs that would render that impossible. We also like to contribute to the community of free software developers. The Free Edition is sponsored by our sales of the commercial version of Automation Workshop. We believe both versions to be mutually beneficial. The Free Edition allows tech enthusiasts to get acquainted with the product and learn its various applications. Trained users often take good software with them into business environments. Growing popularity of Automation Workshop allows us to develop it better and sustains its free version. We highly value our users and hope You will enjoy our products! Compare editions · choose Automation Workshop version for yourself. Can I use Free Edition? · see if you are entitled to use Automation Workshop for free. Help us distributing our free automation software by spreading the word and sharing it on social media websites. Share · find us on social media and tell others about the our free automation software. Spread the Word · spread the word about our Automation Workshop Free Edition. Automation Workshop is both free and priceless at the same time. —Tete A. » Why is it Free?